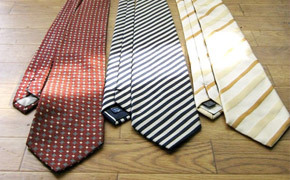 Ecommit is a wholesale supplier of sorted and mixed used clothes for export including a variety of men’s, women’s and children’s garments collected from various regions of Japan including Tokyo, Osaka, Nagoya, Fukuoka and Kagoshima. 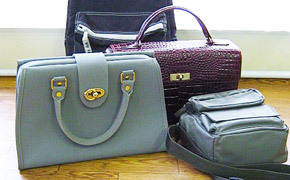 The mixed used clothing is available as Grade A or Grade B.
Grade A items are collected from second hand shops. Grade B items are collected by local administration wards from households. 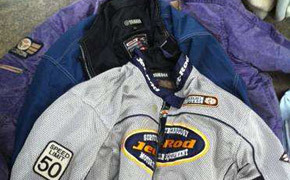 High quality returned clothes sourced from Japanese clothing shops are also available. 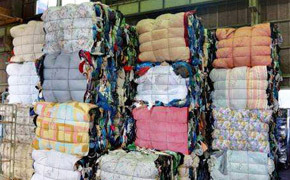 The used clothing is processed at our warehouses in Japan, compressed into bales and bundles, and then loaded into a shipping container for export. See the photo gallery below for samples of the used clothing items supplied, please note only Grade A clothing are shown at present. 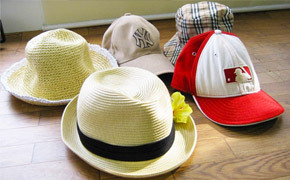 We also sell a range of used clothing accessories including shoes, hats, bags, ties, belts, sunglasses and jewellery. All of the clothing accessory items are packaged into boxes for shipping. 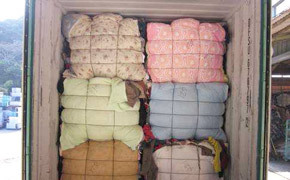 Our company is experienced in shipping compressed bales and boxes of used clothing by the container load for import to many countries across Asia, Africa and South America. Ecommit has the capacity to ship compressed bales and boxes of used clothing by the container load to all major ports, cities and regions around United Arab Emirates, including Dubai, Abu Dhabi, Sharjah, Al Ain and Ajman, plus other locations around the country. 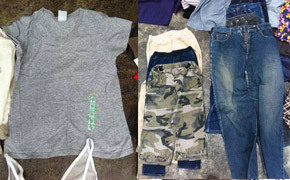 Go to the photo gallery and videos section below to view samples of the used clothing items supplied. 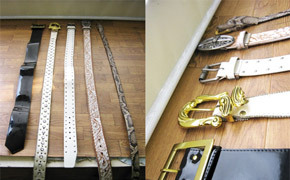 Also check on our Facebook page for more product videos, news updates and the latest sale offers. Please contact the Ecommit Sales Team with your sales enquiries for more information. Copyright © 2018 Ecommit Corporation.